Hi, I love it when things come together effortlessly…as it doesn’t always! 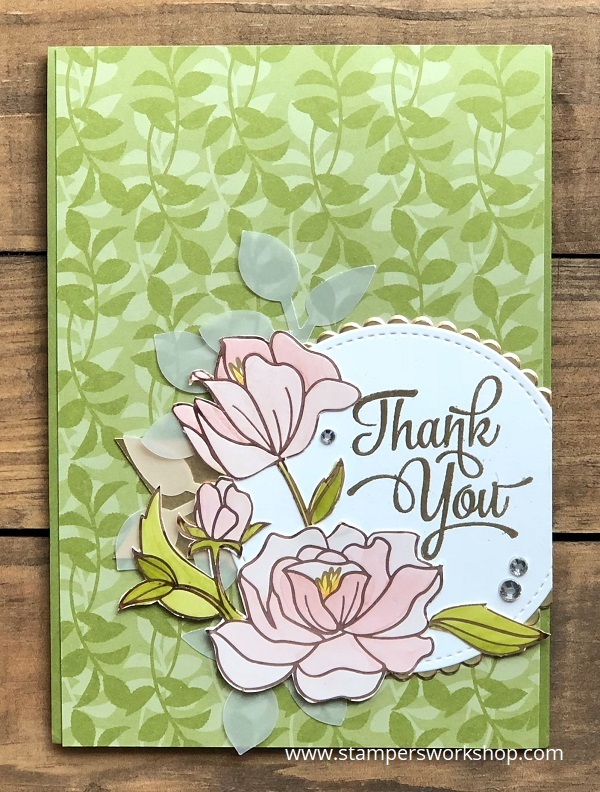 I had taken out the Petal Garden Card Pack to work with and came across a gorgeous background of leaves which was stunning. I had placed it on the table to find other things to go with it. 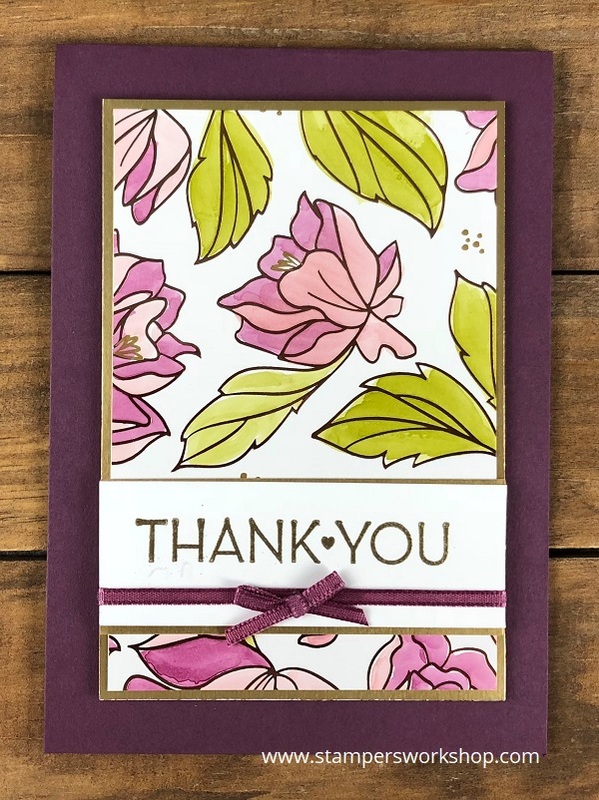 It just so happens I still had some coloured floral images from the Springtime Foils Specialty Designer Series Paper lying on the table. They looked so good together so I had to make another card! I also can’t stop colouring the floral images from the Springtime Foils Specialty Designer Series Paper. It is truly gorgeous! 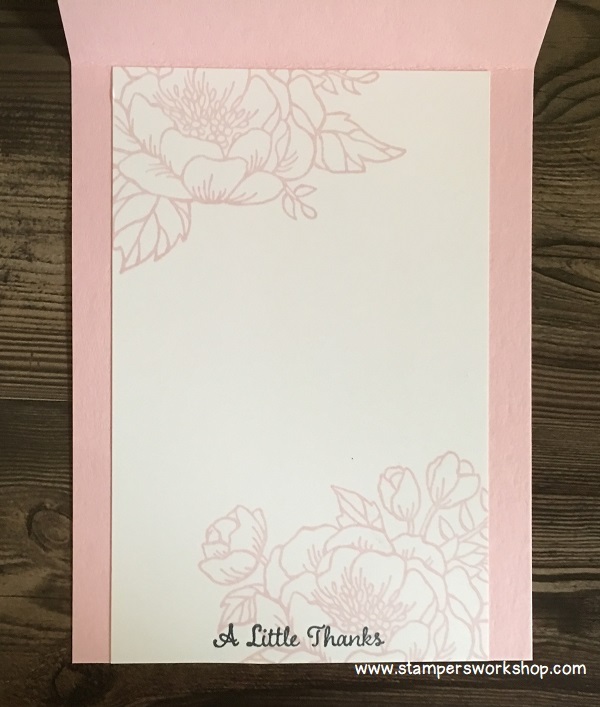 I love that you can use the sheet as is, or colour it and use it as a background, cut out images from the sheet, or colour in and then cut out the images. So many options. 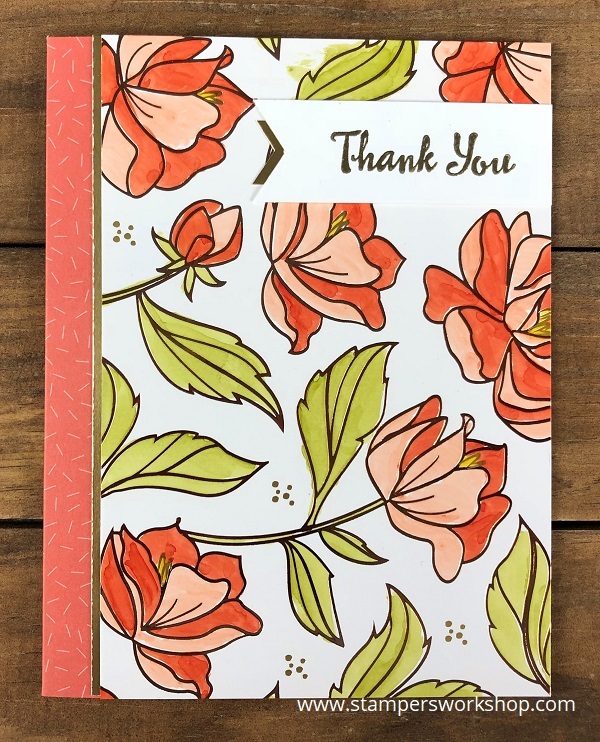 I LOVE how pretty the Springtimes Foil Specialty Designer Paper is. It is impossible to make a horrible card using it. 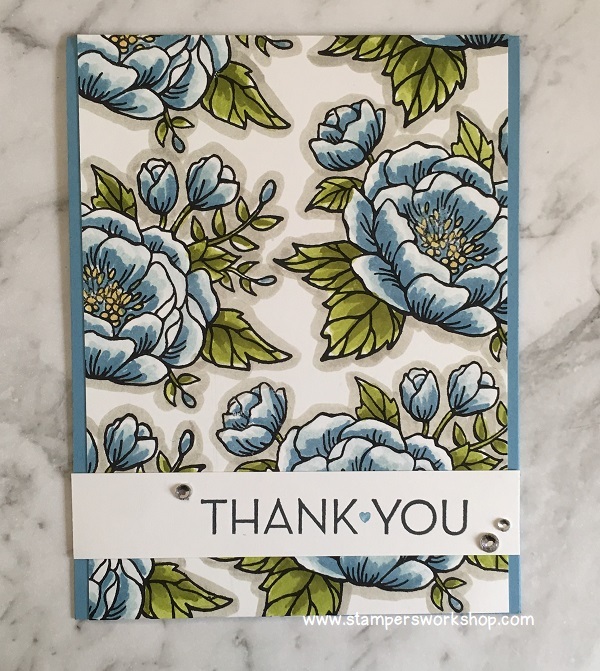 lol Don’t you just love the fabulous background Petal Garden card too? Gorgeous! Don’t forget to take part in my Stamparatus Giveaway! Runs from March 1 to March 31, 2018. 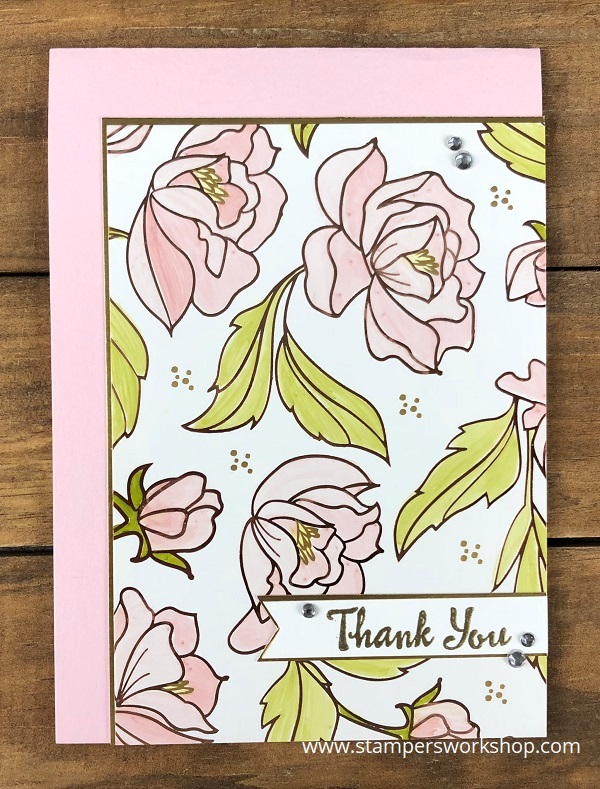 Hi, today’s card features the Springtime Foils Specialty Designer Series Paper and it is another quick and easy card. 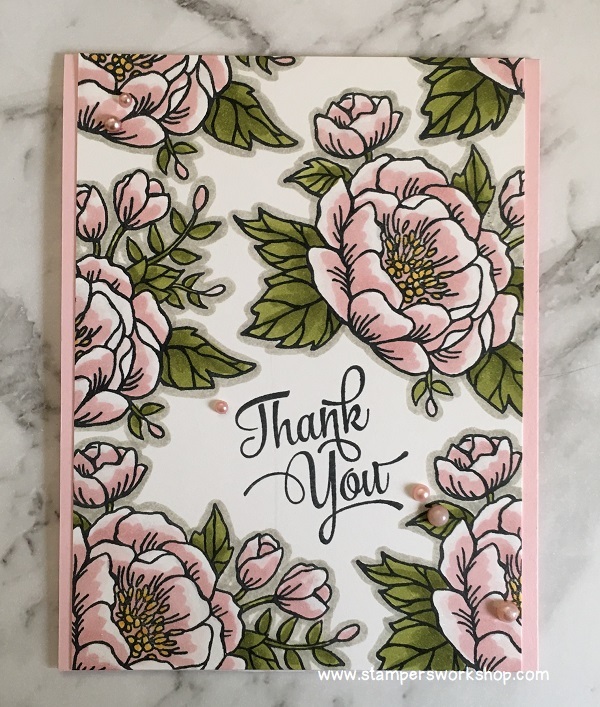 I love the simplicity of this card and the impact it has especially with gold / rose-gold bling. The construction of this card is very simple. I coloured a sheet of the Springtime Foils Specialty Designer Series Paper and then trimmed it to size. I then matted this panel on a Gold Foil Sheet. Next up, I stamped the sentiment from the One Big Meaning stamp set. I didn’t want the entire sentiment so I covered it with a post-it note as I was inking it up with Versamark Ink. 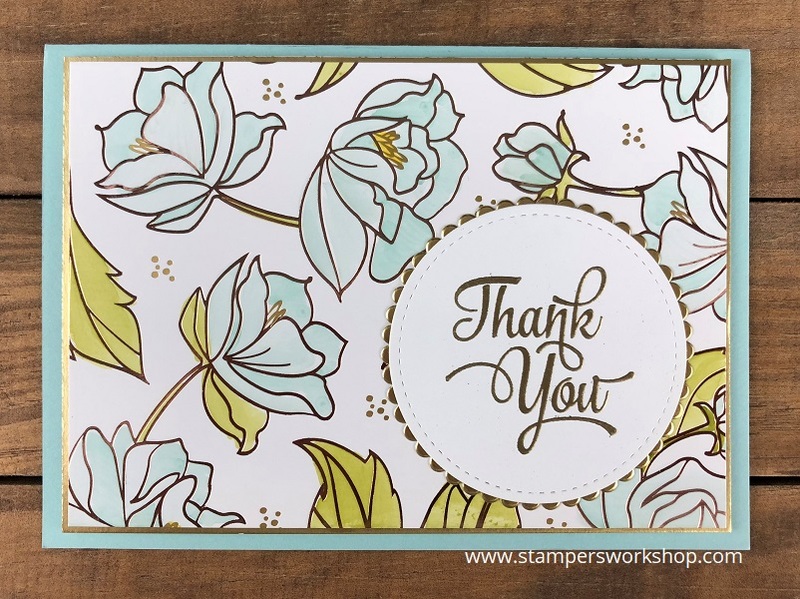 I embossed this sentiment with gold embossing powder. Then I matted it on some more of the Gold Foil Sheet. 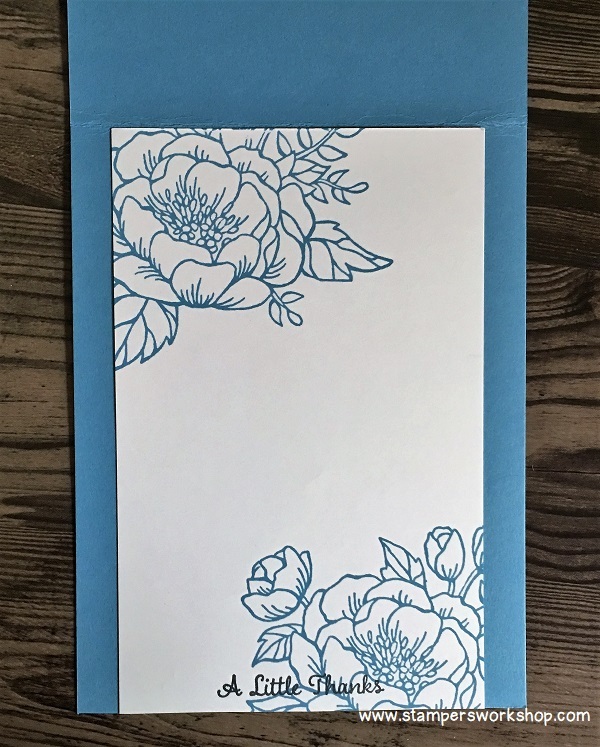 I have some more quick and easy cards to share with you, over the next week or so, using this beautiful paper. Don’t forget you cannot buy it, but you can earn it for free during Sale-A-Bration with a qualifying order. All the details are here.